Digby Co. forester Harold Alexander is travelling to Finland to look at how they deal with forest management on public and private land, figuring we have lessons to learn. But NSDNR Minister Lloyd Hines thinks things are just fine as they are. “What we’re doing is what has been the accepted practice in the oldest part of North America to be settled. The people who have this private land have had it back to the land grants [from] 400 years [ago]. They’ve done an excellent job of stewarding the land.”Nor does he think the amount of clearcutting going on now is excessive. 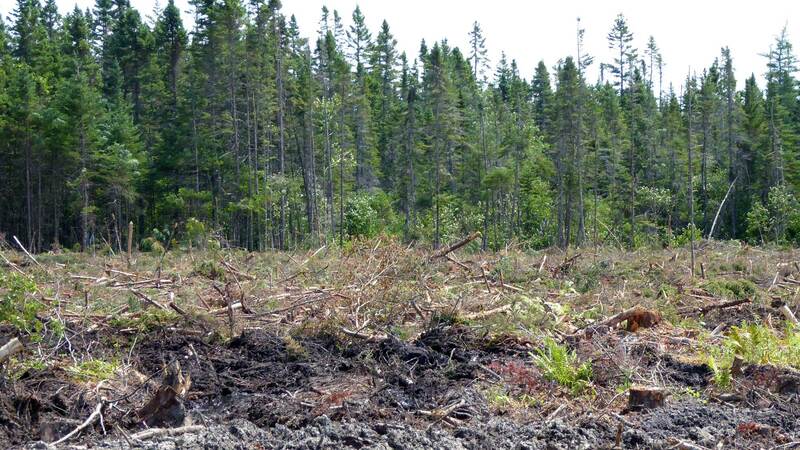 “I think we’d have to clear cut the entire province once a week,” he said. “We have lot of wilderness, lots of uncut areas in the province.” View CBC News. Hang on to your hats folks. This entry was posted in clearcuts, NSDNR. Bookmark the permalink.